New Year’s is one of my FAVORITE days of the year. I know all of this might be whack, but in my twisted (somewhat obsessive-compulsive) mind, it is God’s way of giving me a COLOSSAL cosmic restart button for life. At the stroke of midnight, whatever failings, habits, sins, mistakes, sadness, negative thoughts, etc. are gone! What I bring in to 2010 is up to me. I can carry some of the baggage from 2009 into 2010 (like eating too many Outback Cheese Fries), but at least by way of the date I sign on my checks, I get a moment to decide whether the regrets of 2009 will make an appearance in 2010. What do you need to stop doing in 2010 that you did in 2009? What relationship do you need to graciously end because it is sucking the life out of you? What and who will you listen to in 2010? What and who will you forgive so that you can opt out of bitterness and anger in 2010? What is the life situation that you will finally determine to resolve and move on? What pattern of behavior will you end, or pick up in 2010? What will you allow God to do in your life in 2010? 2009 was a good year. I have much to be thankful for. Having said that, I’m not sad to see it go. I’m excited to see what 2010 has in store. Cleaned the refrigerator this morning. Pheww… Too many leftovers pushed to the back of the fridge. Did you know vegetables can liquify? Gross. There is a Kenyan community in South Bend that exists within a larger community (they would quickly identify as “aliens & strangers” in the context of American culture and society). Their community gathering very much encouraged and supported Kenyan identity. Time is subservient to relationship. The invitation said 3-6 p.m. It didn’t get started until 5:00 p.m. It starts when everyone arrives. Story telling…especially to the children was essential in shaping identity and cultural expectations. The adults addressed the children and encouraged them through personal narrative in the following: staying in school, the importance of education, working hard, sacrifice, the role of women in the home and society, being debt free, family, honoring and celebrating the achievements of others, honest employment, and the importance of self-sufficiency. Examples of achievement were highly-valued (including Moses’ in whom we were all there to honor). They were used as illustrations as to what children can become. In the stories included Barack Obama whose father was a Kenyan. There is great ownership in the Kenyan community of Barack Obama as the President of the United States. The children were encouraged to dream as big as they want…and with hard work, discipline, and community…they could achieve it. That’s the Wal-Mart we shop at (when we go to Wal-Mart). That’s the apartment complex we lived in our first six months in South Bend. That is the intersection (Inwood & Ironwood) that’s just a few blocks away from my parents home. And that is the neighborhood that is two blocks from the church and a block from where I grew up. It doesn’t feel like “the hood”…but maybe my familiarity is deceiving me. I wonder if the city would mind if we (the South Side of South Bend) secede from South Bend and establish our own sovereign city, government, school system, etc. What should we call our new city? Stonesville? We are about to begin a new decade!!! 2010 is just a few days off! 10 years ago we were talking about Y2K and all the hype about everything in the world crashing (which it didn’t). Fortunately, I didn’t waste time stockpiling weapons and food for the cataclysmic event. But it feels like it was just the other day. It was actually 10 YEARS AGO!!! 10 YEARS!! Is time moving faster? 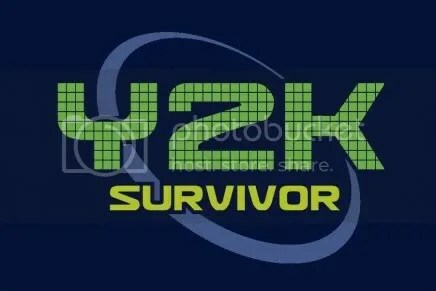 Do you remember what you were doing on December 31, 1999 waiting for the big Y2K? I’m sitting in a St. Louis Bread Company (Panera Bread in St. Louis) resoluting for 2010. Yea…I’m a HUGE resolution guy. That doesn’t mean I accomplish my resolutions, it just means I absolutely LOVE making them. Lists, goals, plans, agendas for everything. Don’t be jealous of my personality 🙂 . Part of the process is looking at the 2009 resolutions. Brutal. And yet, I LOVE this sadistic work. I have resolutions that have been on my list now for several years with no significant movement. I now need to decide whether I’m going to re-up for yet another year and be serious about it, or concede that at this time in my life, I need to let it go. My church resolutions have far outpaced my personal resolutions. This isn’t so much because I’m great at what I do in regards to Pastoring but rather because so many of those resolutions are more dependent on God’s faithfulness than my discipline. I have to live life holistically. I’ve noticed a decline or failing in any of the following – spiritual, physical, mental, emotional, professional, intellectual, relational, and/or financial tends to affect the whole. You can’t have an infinite number of resolutions (which I tend to do). You only have 24 hours in a day. Time management and resolution fulfillment cannot be separated. Perfectionism shouldn’t trump degrees of success. Even if you aren’t there yet, celebrate you aren’t where you were a year ago. If in 2010 I accomplish my resolutions, will it change the world? Are my resolutions too small or too “about me”? The status quo of 2009 has to be disrupted. If I live in 2010 like I did in 2009, I will be in this same place twelve months from now. So…what gets disrupted in the Status Quo? What will I resolve to quit doing in 2010 that I am doing in 2009? What pattern of behavior or issue of time management will get overhauled? What can’t wait? I have three children. Isaac is now 13. Five minutes ago he was 2 years old. Time is ticking. And in some areas, I only get one shot. There are no “do-overs.” I can still learn how to play an instrument in 2018, but I can’t raise my son again. 2. Broadway Christian Parish. They do amazing work in our community among those who are in greatest need. And they do so with very little resources and with little fanfare. We are big fans. They don’t know we are doing this (and hopefully they won’t read my blog). Let’s surprise them with a generous Kingdom investment! Thank you in advance for your generous spirits!! !